Because of my Mitochondrial Myopathy, my muscles have always fatigued very quickly. It’s called exercise intolerance, as my muscle cells produce the ATP energy packets in an inefficient way. When I was teaching, I was walking around the classroom most of the day. But since retiring, and after our caregiver season passed, I mostly sat at the computer. My muscles are weaker than they should be, because of my poor choices. At the time I felt so bad I didn’t imagine that I could exercise. I had major skull base surgery in July, and afterwards I was in a very weakened condition. Increasing activity level is an important strategy in The Energy Blueprint* program I’m trying to follow. I knew I’d have to make the suggested changes slowly. But the other strategies I’ve incorporated from the Energy Blueprint have raised my energy level a good bit. So I felt safe in trying to start exercising a little. I started by walking to the mailbox and back, which is maybe 50 feet or so. Very gradually I increased the length of my morning walk until I was walking a circuit around our house on the driveway, sidewalk, and patio. I got up to about a quarter mile and was walking at a fairly quick pace. I looked forward to getting out in the morning sun and exercising. But, I overdid something and my left foot became extremely painful in the arch. The pain was at its worst first thing in the morning when I put weight on it. Based on my internet searching, I think I developed Plantar Faciitis. I slept in my shoes for about a week to help stretch the arch. And I started putting my shoes on first thing in the morning. I also quit walking or standing any more than necessary in the house, because of the pain. And you know what THAT did to my painstakingly developed exercise routine. So I temporarily moved backwards in my efforts to overcome the MITO induced exercise intolerance. Now the foot is much better, but still a little tender. I’ve increased the amount of indoor standing and walking activity, AND I’ve joined a gym. My health insurance provides free gym membership through the SilverSneakers program. And I decided to take advantage of it. They have machinery that raises my heart rate and exercises my legs without standing or walking on the sore foot. I’m alternating using the recumbent bike and the arm equipment, so my muscle groups have time to recover. It will be a while before I’m strong enough to use most of their machines, but it’s great that I can be active again! I can definitely tell that my exercise tolerance level has moved up a notch or two – that I can do more before I feel the muscle cramps, muscle fatigue, and jerking. I still have to be very careful not to over-do. And sometimes I misjudge my tolerance level and pay the price for it, like my foot pain. But the prize of being more active is worth the time spent to overcome my exercise intolerance. WORLD RARE DISEASE DAY is TODAY!! TODAY is World Rare Disease Day! As I was recently diagnosed with Mitochondrial Myopathy, I’ve been doing a lot of personal research trying to understand a disease I had never heard of until a few months ago. We have been told by the diagnosing Neuromuscular Specialist that there is currently no cure and no real treatment available. The main symptoms that affect my Quality of Life are extreme muscle weakness and fatigue, but I also get Myoclonic jerks, I walk with an ataxic gait, and I have digestive problems, as well as memory issues. And I have Type II Diabetes that is under control with nutrition and weight control. Diabetes is another way that Mitochondrial Disease can manifest itself. In hindsight I suspect that my symptoms probably started showing up about 30 years ago. One in 10 Americans is affected by a rare disease – that’s over 30 million people. That’s more than the total number of people living worldwide with cancer! There are more than 7,000 diseases classified as being rare, most of which affect children. I can’t even imagine how parents must react when they are told their precious little one has a rare disease – and learn that 30% of the children diagnosed with a rare disease will die by their 5th birthday. Most of these rare diseases are genetic in origin. 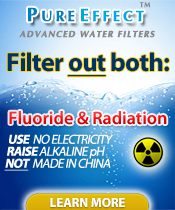 There are no cures for these diseases, and only about 5% of these diseases even have a treatment. Less than half of the Rare Diseases have any kind of foundation, advocacy group, or community support group, because many of these diseases affect fewer than 100 people. My own disease falls under the scope of the Muscular Dystrophy Association, so I do have knowledgeable people I can turn to for help. And online there is a the United Mitochondrial Disease Foundation, as well as MitoAction and several Facebook groups dealing with MITO diseases where I can go for information and support. You’ll find me on FB in the 250+ member Mito Adults group – just ask on the group to join, if it would be a good fit for you. So what about all the families dealing with one of these 3,000 or so Rare Diseases who have no support group at all? VISIT the R.A.R.E. Project site and learn more. DONATE to help with research if you can. LIKE and share the Global Genes Project Facebook page with your FB friends and be one of the hoped for Million who show their support for families facing one of these rare diseases. WEAR jeans today to increase awareness of the need for more research and funding for genetic diseases. Hopefully your workplace is involved in Jeans for Genes as a MitoAction fund-raising effort today. But if not, you can still donate to these causes. World Rare Disease Day in 30 Days! Feb. 29, 2012 will be World Rare Disease Day, and I’m joining other bloggers to raise awareness about rare diseases. As I was recently diagnosed with Mitochondrial Myopathy, I’ve been doing a lot of personal research trying to understand a disease I had never heard of until a few months ago. Different sites include certain types of Mitochondrial Myopathy on their list of Rare Diseases. I don’t know if my type has been classified or not, but that’s on my list to ask about when I see my Neurologist. We have been told by the diagnosing Neuromuscular Specialist that there is currently no cure and no real treatment available. 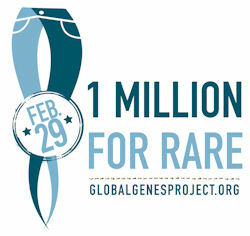 WEAR jeans on Feb. 29th to increase awareness of the need for more research and funding for genetic diseases. Encourage your co-workers to get involved in Jeans for Genes as a MitoAction fund-raising effort on Feb. 29th. READ some of these blogs supporting World RARE Disease Day, many sharing what life is like with a rare disease.